The same people who brought us talking toys, talking monsters and a house floated by balloons are back, and this time it’s emotions that are doing the talking. Riley is a 12-year-old girl from wholesome and safe Minnesota who moves with her family to dark and dreary San Francisco. As we learn from the story, she is controlled by five emotions – Joy, Sadness, Fear, Disgust and Anger – all of whom have been developing over Riley’s years by creating memories and Islands of Personality. Joy (voiced by Amy Poehler, TV’s PARKS AND RECREATION) seems to be the one in control most of the time so, as we would expect, Riley is a joyful child and many of her core memories are of happy times acting goofy (an Island of Personality), playing ice hockey (another Island) and bonding with her parents (a third Island). Occasionally, though, Sadness (voiced by Phyllis Smith, TV’s THE OFFICE [US version]) gets her hands on some of the memories and turns them blue. Fear, Disgust and Anger are still minor emotions at this point in young Riley’s life. If this sounds like an animated version of a Psych 101 class, you wouldn’t be wrong. For the next hour we are taken on a Fantastic Voyage through Riley’s beautiful mind as she deals with the move, a new school, new friends and general tweenhood. Through a serious of events – both internal and external to Riley – Joy and Sadness get sucked up into one of Riley’s brain axons and they soon find themselves lost inside the girl’s temporal cortex, which looks like a labyrinthine library of colourful, long-term memories. As they try to find their way back to their headquarters, they meet a kaleidoscope of curious characters who are all busy at work doing various jobs inside Riley’s brain. (If you’ve ever wondered why some memories are forgotten, you’ll learn why here.) Meanwhile, Fear, Disgust and Anger, who are left to their own devices – and the control panel at HQ – radically alter Riley’s mood to the point where she shows attitude at her parents for the first time, skips school and packs a bag for Minnesota. Basically, she becomes a teenager. As Riley’s Islands of Personality start to crumble away, Joy and Sadness find it harder to return to their fellow emotions. 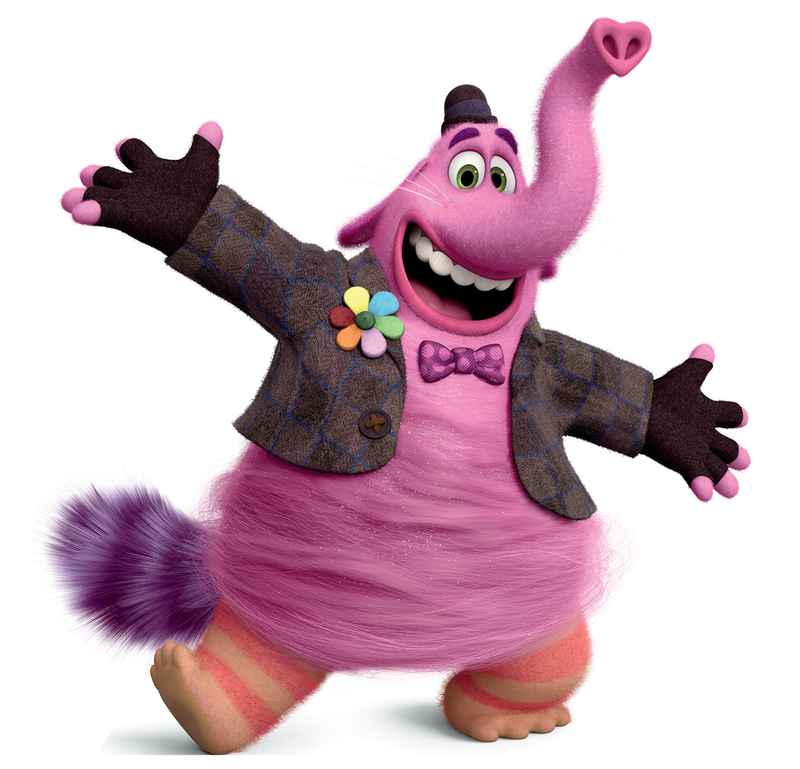 Help arrives in the form of a pink cotton candy, nougat-filled elephant-cat hybrid named in Bing Bong (voiced by Richard Kind, TV’s SPIN CITY), who is Riley’s imaginary friend from her early childhood. Now here is where the movie starts getting good as Bing Bong is the most creative and fun of all the characters we meet. But isn’t that sad that the most interesting character is also the imaginary one? Although the story is creative and witty, there is no doubt in our minds that Joy and Sadness will not only make it back to HQ, they’ll find a way to work together when they do. (This is a Disney movie, after all.) And that’s what makes INSIDE OUT a bit dull. Sure, some scenes, such as the one at the dinner table, are amusing, and the final scene between Joy and Bing Bong will ring very true for every adult, but the film just seems a bit too educational and preachy. Maybe that’s what the filmmakers were going for – a film that parents can use to teach their kids about emotions, personality and values… and they probably will. Thankfully, hormones never made it into the script, though there is a quick reference to Puberty towards the end of the film. Maybe they’re saving that for the sequel. 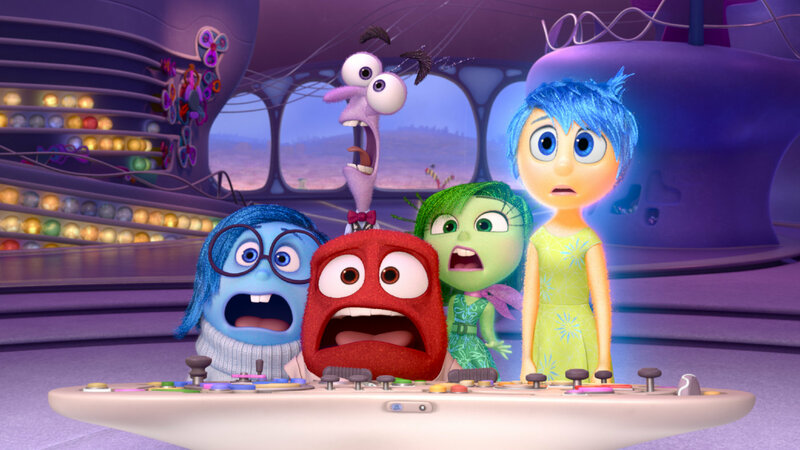 INSIDE OUT is innocuous entertainment for the whole family, and you could do far worse than this. Just be forewarned that you’ll have to buy the kids toy Bing Bongs when it’s over.